A tough selection with fine, dark green needles and a high tolerance for pruning. Does well in shade, but may yellow in areas of strong wind. An excellent selection for year round structure and green in the landscape. Provides good shelter for birds, but is favored by browsing deer. 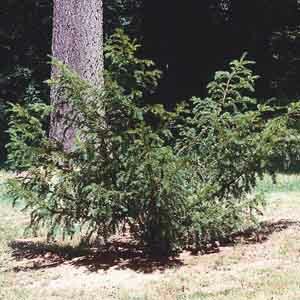 Commonly called Japanese Yew.